For decades, the coal mining sector has played a key role in the economic development of Central and Eastern European countries, ensuring an autonomous energy sufficiency and providing jobs. 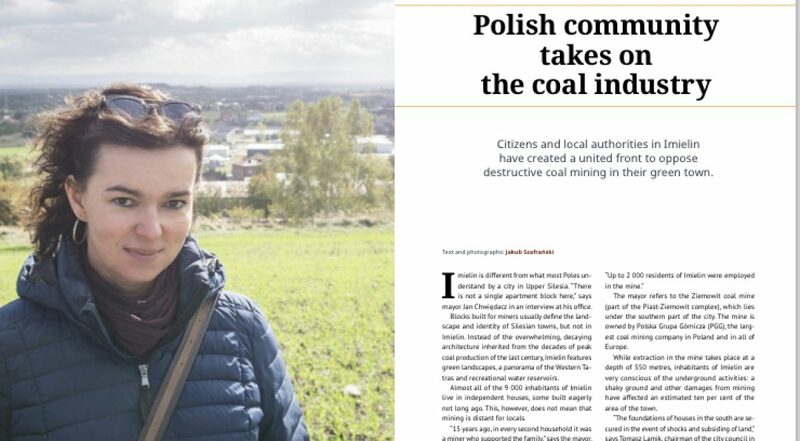 However, as Europe prepares the phaseout of coal, the transition to a post-coal future has been an intricate process, bringing new opportunities for the local communities but also dire consequences in some cases. Poland is one of the most coal-reliant European countries, generating 80% of its energy from coal. In the Upper Silesia region, where most of the Polish coal comes from, this sector has been facing a decline. While many people are supporting solutions to overcome coal dependence, there is still a big stream of resistance. For Marta Anczewska, from WWF Poland, the lack of workforce, depopulation and ageing are prevailing and are expected to increase in the upcoming years, making the transition even harder. Nonetheless, members of the civil society in Upper Silesia are working on solutions for empowering the communities and developing the rural areas in the region. Patryk Bialas, from the Katowice City Council, explained that to tackle this transition, the region is trying to overcome its coal-dependence by an investment in the renewable energy sector and creating many city initiatives for raising awareness, including active citizenship and human rights education at schools and aiming for 100% clean energy production in Upper Silesia, including clean transportation. Bialas explained that the citizens of Katowice are generally receptive to the transition because they are very concerned about the air quality in the city, which has been deteriorated. Elsa Velichkova the mayor of Bobov Dol, Bulgaria, explained how coal mining and power generation are very an important economic factor in the region. However, these places are losing efficiency and profitability. As a result, there have been collective layoffs and since there is no strategy for dealing with the problem, there’s an unprecedented unemployment rate ongoing. To aggravate the situation, there’s no interest from other sectors to invest in the region, the transportation options are decreasing, and limited educational opportunities are accelerating the process of depopulation and creating a general sentiment of apathy and hopelessness among the ones who stay. After taking a longer pause, Velichkova made a compelling statement – the situation in Bobov Dol is extremely dramatic, moving towards a social and economic catastrophe. As a mayor, she feels powerless and unsupported, as the governments are neglecting the case. Even though a cross-sector cooperation would help alleviate the problem, there are no solutions on the horizon and without a big support from the government not so much can be done to help the population. Similar to the other counties, the energy production in Slovakia is highly reliable on coal. During communism, being a miner was a very well paid job and seen as a sign of status. Nowadays, many people still believe companies will keep running for many years, explained Alojz Vlcko, from Prievidza municipality, a town with 135 000 inhabitants and 2 brown coal mines in operation. However, this coal business is losing its profitability at a fast pace and the investment from electrical companies (coming from electricity bills) is what keeps the industry running. In addition, the working conditions are in the mines are appalling and the increasing rates of cancer and health issues in the region, and smog are dividing the population. Vlcko explained that after Slovak government announced the intention of divesting from brown coal until 2030, many concerns were raised but also discussions and working groups were set to motion with NGOs, civil society organisations, experts and citizens – except the coal companies who are not interested in cooperation. 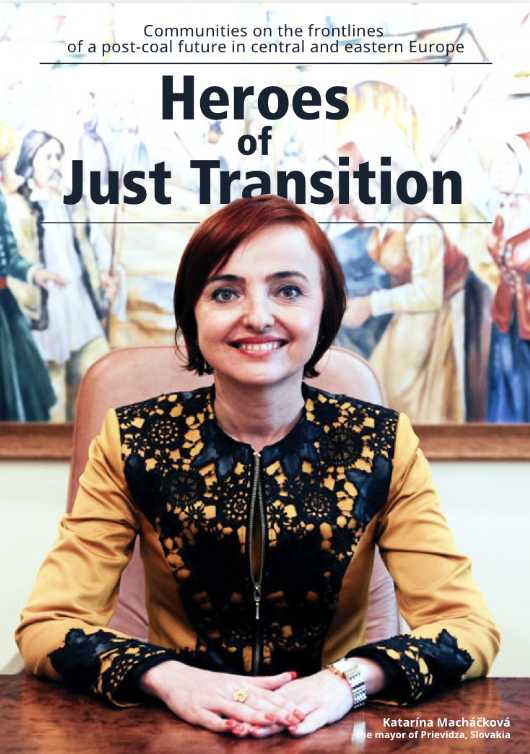 Strategies for making a just transition and transformation are on the table, and projects for regional development are being implemented with the support of the European Commission. Even though the three regions presented have the same common denominator, they have specific problems that need to be tackled locally and individually. On the other hand, it’s easy to use the “just transition” discourse as an excuse for delaying concrete action and avoid reaching a meaningful impact that is good for all parties involved including nature. The complexity of the issue, the lack of clear strategies for relocating the workers and economic interests are also contributing to a polarization, which is slowing down the transition to clean energy production. If the Slovak government seems to be more open to a change, the current government of Poland is not only supporting coal mining but also undermining the developments in the clean energy sector. In contrast, the Bulgarian government is apathetic, leaving the locals in a state of hopelessness and despair. Good examples can be also drawn from other countries. In Germany and the Netherlands, many strategies are taking place for relocating workers to other industries, such as the automotive industry and technology. The Central and Eastern European countries are trying to apply these practices to their context. Bialas showed an optimism about the renewable energy sector as key to Upper Silesia. Namely, the solar industry which is growing gradually and might create 32 000 jobs until 2030. While in Slovakia, one of the aims is to relocate the workers to infrastructure-related jobs. Therefore, more good practices are necessary as well as ensuring a good cooperation between citizens, municipalities, workers and industries, supported by governments. 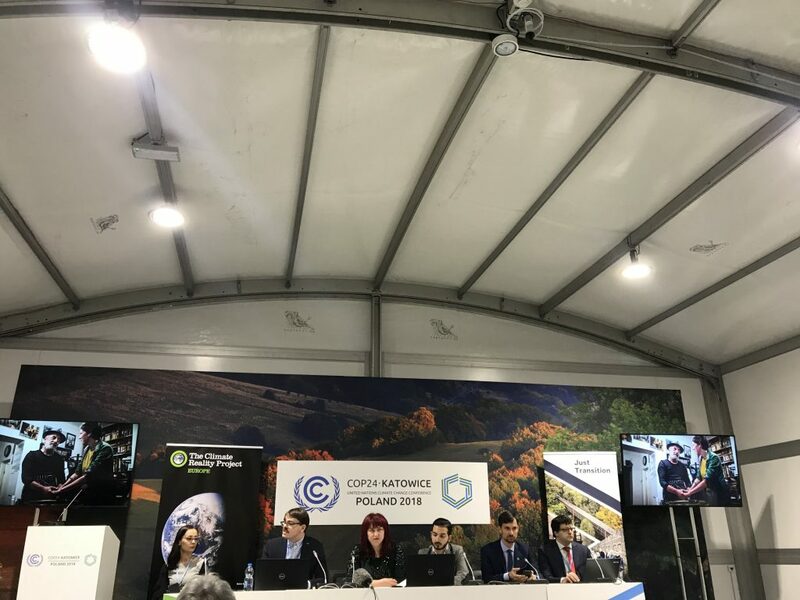 By Henrique Gonçalves, Networking Coordinator & delegate for IYNF & the European Youth Forum at the COP24.